Prisoners want their sentences to be determined by when the committed their crimes, not when new laws came into effect. A full bench of the North Gauteng High Court in Pretoria will in June this year preside over an application which could have far-reaching implications for the parole system. 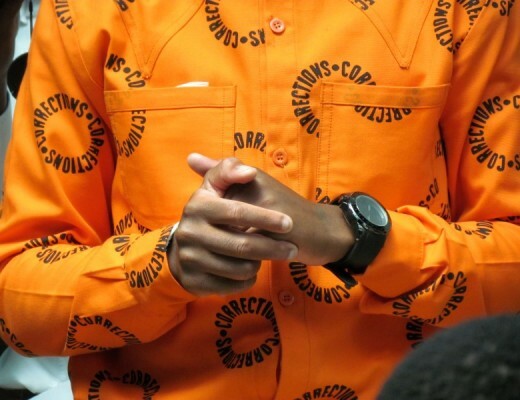 A case centring on the plight of prisoners who committed crimes before October 1, 2004 but were only sentenced after the new Correctional Services Act came into effect was on Tuesday postponed to June 28. This was after the court raised the issue of whether the Act, which stipulates far lengthier minimum periods before prisoners can be considered for parole, might not be discriminatory. Oupa Phaahla, a prisoner serving a life term for six counts of murder, has asked the court to declare certain sections of the 1998 Act unconstitutional in respect of offenders sentenced to life imprisonment, but who had committed the crimes before October 1, 2004. He also wants the court to declare that the date of commission of the crime and not the date of sentencing should be used to determine applicable parole provisions. Phaahla was sentenced to life imprisonment just four days after the new Act came into effect, resulting in him now only being able to apply for parole after serving 25 years, instead of the much shorter period previously applicable. He was convicted a few days before the Act came into effect. Prisoners sentenced to life imprisonment in South Africa between 1910 and 1956 were only required to serve 10 years before they could be considered for parole, but the minimum period has steadily increased, with lifers having to serve 20 years from April 1995 and the new policy stipulating a period of 25 years without being able to earn credits for good behaviour. The Constitutional Court ruled that inmates sentenced to jail before the commencement of the 1998 Act were legally entitled to be considered for parole in accordance with the policies and guidelines at the time of imprisonment. Court papers filed in the application highlighted several discrepancies created by the new Act, such as one murderer or robber who committed the same crime as another but pleaded guilty and was sentenced before October 1, 2004, having to serve a far shorter minimum sentence than his co-perpetrator who was only sentenced after the 1998 Act came into effect. Experts said the case could cause a huge change to the parole system if parole dates had to be determined by the date of the crime, rather than of sentencing.